Snippets of My Life: Great Bargain!! This what I bought. 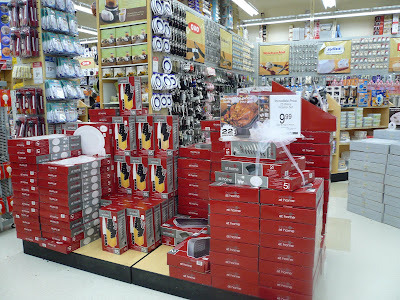 The roasting set for $9.99 (after rebate), 4 Mini Trifle Set for $9.99, Cake Serving Set for $7.99 (after 20% coupon discount), a set of 6 Shots Glasses for $ 7.49 and two coffee mugs for $1.98. Total money spent $ 37.44. Not a bad bargain at all. Thanks Cat for the call. 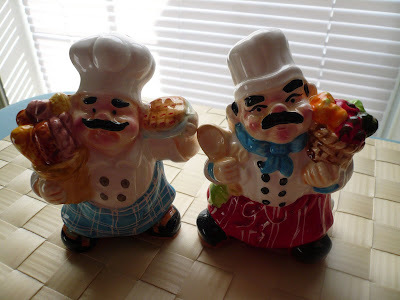 I received this cute Salt & Pepper shakers from Cat two weeks ago. I won it from her Halloween guessing game. Thanks again Cat. 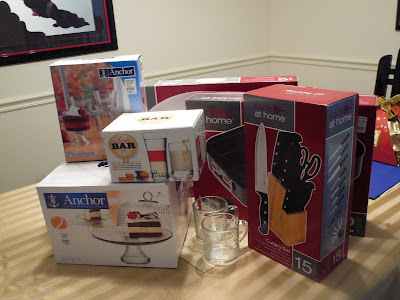 I love to go linens n things to look for bargain sometimes.You really buy alot huh!I like the salt and pepper so cute. Gert, u alrady went to LNP? lol! ur quick girl! eh kalau takde flyers tak dpt discount ke Gert? and when does the sale end? those snp shakers have to be the cutest one iv seen. Hey that roast chicken looks familiar!!! It was very yummy too! Gert, was the roasted bird came with the shakers too :)??? Teach me how to panggang ok.
Choy, no lah it didn't come with it... sure I will teach you when we see each other. WOW Gert, you really a great shopper lah... I thought I ni kaki shopping but you lagi pandai, Gert. HAHA! Hey, glad to know you like the SNP shaker. No need to thank me lah.. You deserved the prize. Eik, why I didn't see the cake serving tray?? $7.49 - murah-nya... Must make another trip to LNT again. Hehe! wah! !,you also go there and sapu arh! !..me too.I didn't buy 1 set but 3 set...so greedy of me.dunno what to do wt 3 sets but just wanna to buy....hahaha!! Rita, that is a good idea :) One can have the knife, one the roasting pan and one the platter. Save you the hassle of buying different for everyone. Gert, pandai you shopping! I always receive the 20% off cupon in the paper but yet to use it at L&T lately. I like their household collections especially at their bedding area. Envy, kat Canada ada jugak L&T? 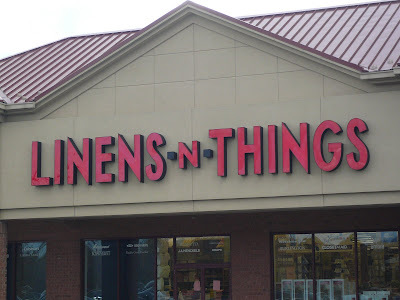 I wonder if they sale is the same as here? Zue, pergi lah beli cepat. Kalau you nak I can check for you here and see if they still have it.